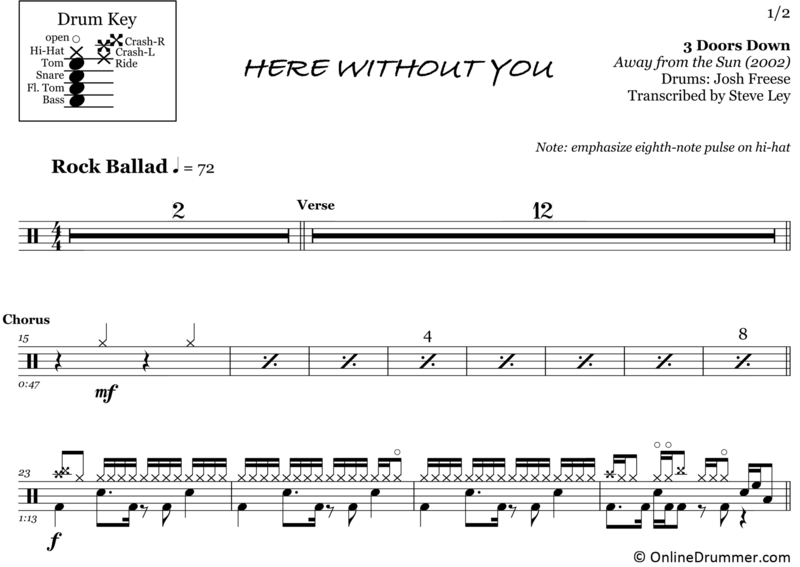 The full drum sheet music for “Here Without You” by 3 Doors Down from the album Away from the Sun (2002). Here Without You is certified 2x Platinum in the United States and Platinum in Australia. Among 3 Doors Down’s most popular songs of all time, Josh Freese plays a dynamic, moving drum track, creatively connecting the dots in this hit rock ballad. Freese uses the hi-hat to accentuate the sixteenth-note rhythmic feel in the first chorus and second verse. By the second chorus, Freese switches to a more ambient 8th note ride cymbal, allowing the auxiliary percussion to take over the sixteenth-note pulse in the background. 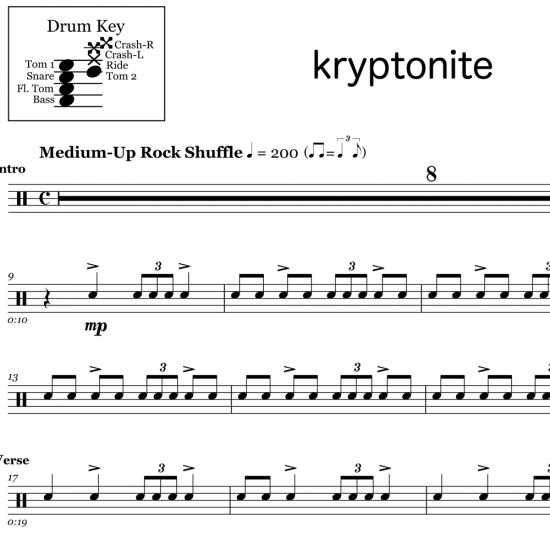 This piece is a great example of dynamic, articulate song expression on the drums. 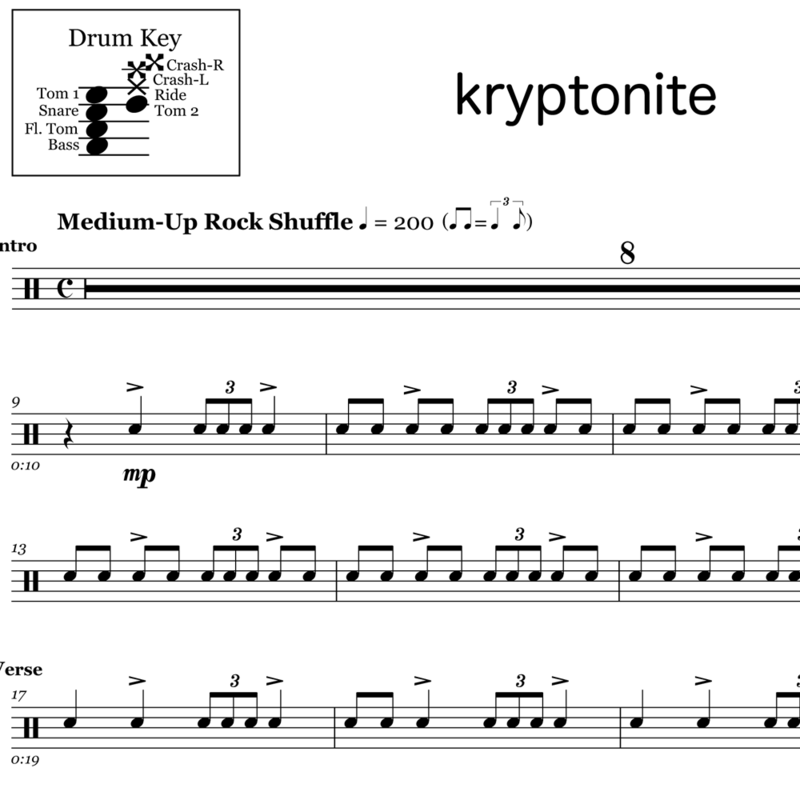 The full drum sheet music for "Kryptonite" by 3 Doors Down from the album The Better Life (2000). 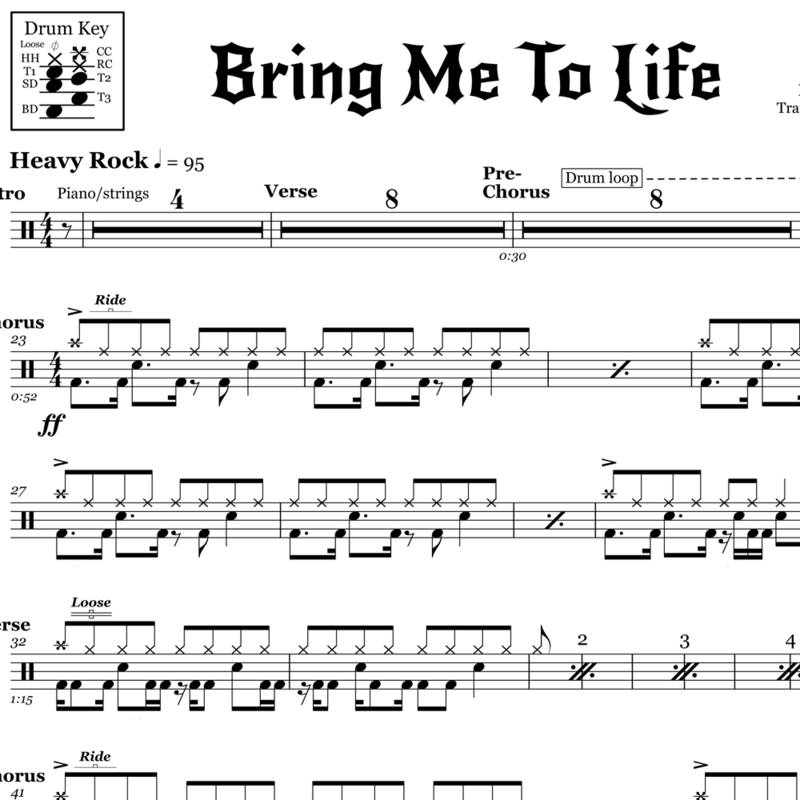 The full drum sheet music for "Bring Me To Life" by Evanescence from the album Fallen (2003).